Zonal Pelargonium. Strong Scarlet flowers. Soft round leaves with dark markings. April-Oct. Ht 40cm Sp.30cm. Limited availability, email the nursery direct to go on the waiting list for this plant. One of the most significant Pelargoniums of the Victorian bedding age. 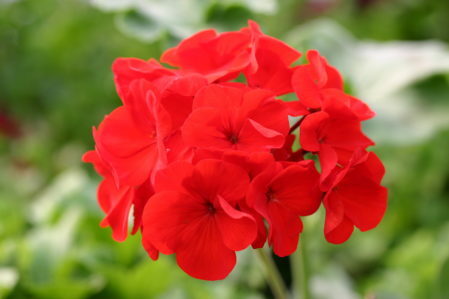 Raised in the late 1890’s by Victor Lemoine and said to supersede any previous cultivars for bedding. Supposedly huge stocks were built up without allowing them to bloom (to avoid being stolen) and then released to the public for £1 each at the time. Highly prized and sort after throughout the early 20th Century.